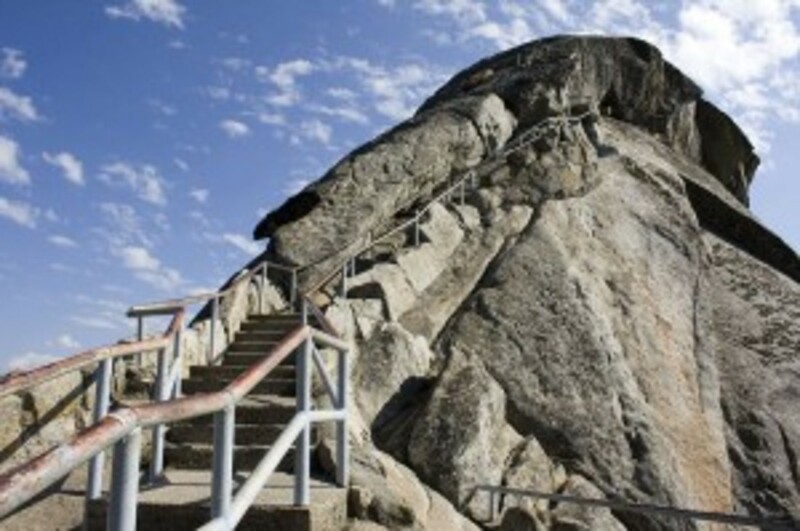 Did I mention there were lots of steps at Moro Rock. I used to live in California’s Central Valley, and as a result could hop up to Yosemite or Kings Canyon/Sequoia national parks a dozen or so times a year. Aside from its giant trees, Sequoia has a particularly august feature, Moro Rock, a gigantic chunk of granite with stairs—lots of stairs—that allow you to reach an amazing vista point looking out over the Southern Sierra Nevada and into the Central Valley. Except that the air quality usually was so bad that in addition to breathing lots of dreck as you huffed and puffed the steps, when you did make the top it was next to impossible to ever see the breadth of view that should have been routine. I haven’t been back to Moro Rock lately, but I’m heartened to see—literally—scientists reporting that air quality and visibility at the United States’ national parks has been improving significantly in the last two decades. Analyzing measurements of atmospheric conditions then and now, researchers with the Cooperative Institute for Research in the Atmosphere at Colorado State University have created a series of pictures that demonstrate the air is genuinely clearer. Maybe not in Beijing, but in the United States the air has grown cleaner since the bad old days of the 1960s and ‘70s. Between cars and coal, we pumped lots of sulfur dioxide and nitrogen dioxide (surely you recall those Seussian pollutants SOx and NOx?) into the air, leading to both acid rain and awful smog. A couple of signature pieces of federal legislation, including 1970’s Clean Air Act, its 1977 amendment that specifically noted the deleterious effect of pollution on national parks, and the 1990 acid rain program, all helped turn the tide on the worst of the haze. But showing incremental improvement can be tough because it’s, well, incremental. It’s like watching children grow, yourself age or the world warm—nothing is apparent from one day to the next. The data is there, but the ‘feel’ isn’t. So, as the rude retort goes… take a picture, it’ll last longer. “Yet it is difficult for scientists, let along decision-makers and lay persons, to ‘visually interpret’ changes” in pollution measurements presented in tables or even graphs, three Colorado scientists wrote in the journal Atmospheric Environment in 1995. “Photography is a method that is ideally suited to present the required information in constant, reproducible, and easily understandable form.” So for the last three decades the boffins at Colorado State have been using visual simulations to make changes in air quality pop out. As part of the Interagency Monitoring of Protected Visual Environments (IMPROVE) network, more than 150 sites in the United States are examined for particles—pollutants generally, but ranging from soot to sea salt—in the air. The sites are mostly national parks or otherwise scenic areas, but a few cities—including my old home of Fresno—are included. The data on those aerosols, as the particles are known, is used to make the simulated pictures. We know that some of that is other junk in the air--things like semi-volatile organic compounds, endocrine disrupters and mercury, even pesticides DDT and dieldrin that have been banned for years. 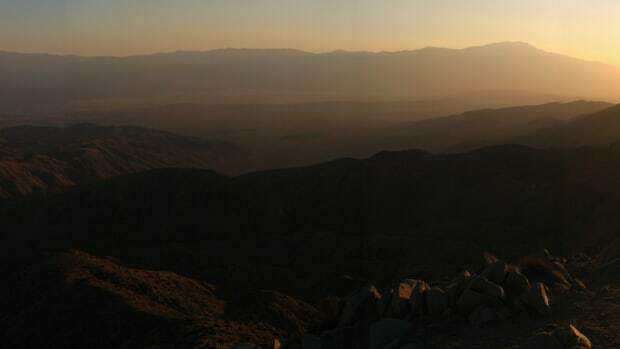 As Joan Melcher wrote for us in 2010, an EPA-sponsored study of national parks in the Western U.S. found all manner of ugly stuff blowing in and settling down in the eight national parks studied (including Sequoia/Kings Canyon). These weren’t haze-promoting compounds like SOx, NOx, and ammonium nitrate, but more toxic stuff that generally didn’t stay airborne that settles down in lakes, land, and lifeforms, especially at higher elevations. A groundbreaking study of pristine national parks in the Western United States found an amazing array of airborne pollutants, including some chemicals banned for decades. Researchers discuss how human-generated noise affects the natural world—and us.